Please join us for the 2nd annual Women’s Luncheon. Proceeds from the event will help to serve more than 130,000 New Yorkers annually through recreation, education, and cultural programming. Unfortunately, our 2019 Women’s Luncheon is sold out. To be added to our waitlist, please contact Maura Greaney, Director of Philanthropy, at 718-412-1033 or mgreaney@brooklynbridgepark.org. In honor of a fabulous woman in your life, please consider a donation to support our programs that serve over 130,000 children and families. Donations can be made here. Join us for “Finding Our Voices Anew,” a panel moderated by Dee Poku, Co-Founder and CEO of Women Inspiration and Enterprise (WIE). Click here to access information on Corporate Sponsorships. 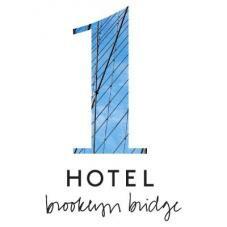 Special thanks to 1 Hotel Brooklyn Bridge and Denise Fasanello Flowers.